Demand for property in Lincolnshire is rising as more people move to the area. If you are planning removals to Lincolnshire, you will be looking for furniture removals companies who know the area. 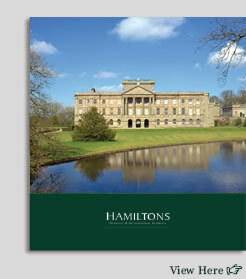 Hamiltons definitely fits the bill, since we are based in East Anglia, within easy reach, and arrange many moves here each year. Whether you are moving to Lincoln, Grantham, Grimsby, Scunthorpe, Skegness, Spalding, Gainsborough, Boston, Cleethorpes, Stamford, Mablethorpe or any other part of the area, we can make all the arrangements. In recent years, Lincolnshire has become one of the fastest-growing counties in England. It has more than a million residents, with plans to build thousands of new homes. Many people are drawn here by employment, either to work locally or to commute to other nearby counties via the area's good transport links. Education, including the county's grammar schools, is yet another reason to make the move. The coastal towns are also popular with retired people, including many moving out of greater London. Employment - Lincolnshire is famous as an agricultural county, with food processing playing a key role in its economy, together with related industries such as distribution and packaging. Tourism is also increasingly important, while many small businesses have been set up in the county over recent years. Good road and rail links and the nearness of several airports are an attraction for businesses. Also, many people choose to live here and commute to other nearby cities such as Nottingham and Hull, while Grantham draws London commuters. Education: Many families moving to Lincolnshire are attracted by its reputation for quality education. The county still has a number of grammar schools, including ancient foundations such as the King's School in Grantham, but there are also highly-regarded non-selective and independent schools. Students frequently relocate to the area to attend universities and colleges in the county, including two universities in Lincoln, the University of Lincoln and Bishop Grosseteste University. Quality of Life: Lincolnshire's towns, cities and villages regularly achieve high ratings in quality of life surveys, and the resorts of Skegness and Mablethorpe are especially attractive to people retiring to the area. Reasons for the county being voted a good place to live include its historic buildings, countryside and open spaces. Much of South Lincolnshire is rural, but there are also a number of attractive market towns here. The South Kesteven district includes the town of Stamford, which is one of the most historic towns in England and regularly features in TV costume dramas. The town took the top place in a Sunday Times survey looking for the country's best place to live. It is near to the smallest county in England, Rutland, and its famous reservoir, Rutland Water. Grantham, perhaps best-known as the birthplace of Sir Isaac Newton and the late Margaret Thatcher, has a population of more than 40,000. It is increasingly popular with London commuters because it is only just over an hour from London King's Cross by train. Smaller towns in the area include Bourne and Market Deeping and Deeping St James. There are large areas of fenland between the Wash and the border with Norfolk, with many waterways providing an attraction for visitors and people moving to the area. The main market towns in the Lincolnshire Fens are Spalding, which is a major centre for the flower and vegetable industries, and Boston, on the coast. The city of Lincoln and its immediately surrounding area, including the town of North Hykeham, have a population of well over 100,000. Siemens is a major employer, as are the two universities and RAF Waddington, a few miles outside the city. Many people also work in the tourist industry. The cathedral and castle are the main local landmarks, but the city is also popular with shoppers, with many independent stores in its ancient streets and a huge annual Christmas market. The city and central Lincolnshire have been earmarked for major growth over the coming years, as demand for housing in the area soars. Historic communities in the central area of the county include the medieval river port of Gainsborough, thought to be the town which inspired George Eliot's novel The Mill on the Floss, the market town of Sleaford and Market Rasen, known for its racecourse. Alford is at the foot of the Lincolnshire Wolds, a landscape of rolling hills which runs through much of this area and is known as an Area of Natural Beauty. Resorts like Skegness, Mablethorpe and Cleethorpes are among the most popular destinations along the coast. It has many golden beaches and tourism is key to the economy, while the area has also become popular with retired people moving to Lincolnshire. Skegness was named as the British town with the best quality of life for over-65s in one survey. Nearby Ingoldmells is home to the Butlins holiday centre and Fantasy Island theme park, while Chapel St Leonards is another popular coastal village. The main port on this stretch of coast is Grimsby, which adjoins Cleethorpes and lies close to where the Humber estuary meets the sea. It has a population of around 90,000.The port of Grimsby and Immingham handles around 55 million tonnes of goods each year, making it the UK's largest port in terms of tonnage. The fishing industry is also still important and the town is a major centre of food processing. North Lincolnshire's other main town is Scunthorpe, known for its industrial heritage, its public gardens and its sporting teams. 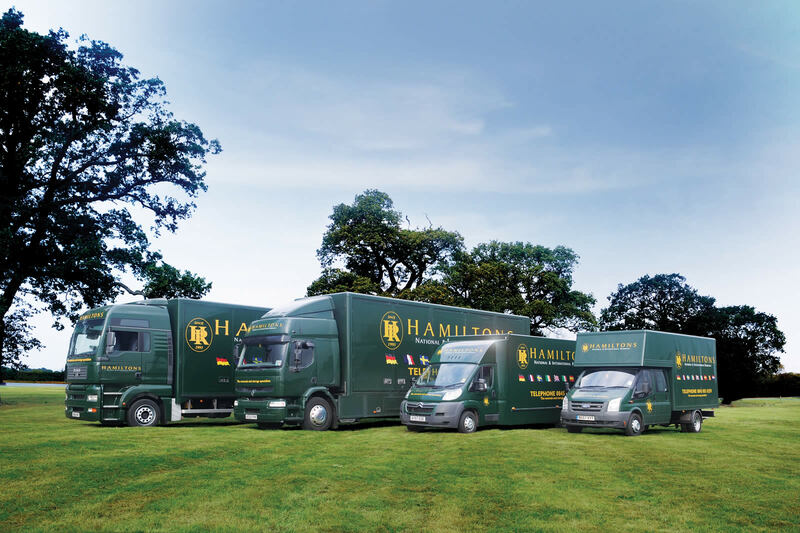 If you are preparing for removals to Lincolnshire and need to compare house moving costs, get in touch with Hamiltons for a free quote.